Amazon donates 0.5% of the price of your eligible AmazonSmile purchases to the Rocklin Community Theatre. Support Rocklin Community Theatre by starting your shopping at smile.amazon.com. 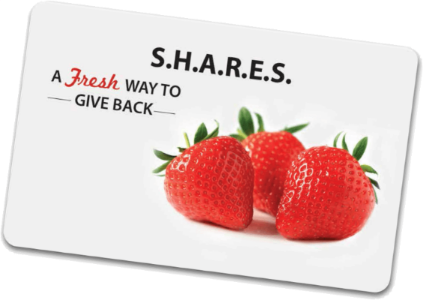 Every year, Save Mart and our family of stores (Lucky, FoodMaxx and S-Mart) set aside a reserve of $4.5 million specifically to benefit the schools, groups and organizations that have enrolled in S.H.A.R.E.S. When you and the supporters of your organization use our FREE S.H.A.R.E.S. card as part of your daily shopping routine, up to 3% of the qualified purchases will be donated to your cause. Raley’s Extra Credit program is an electronic scrip program. Enrolled participants simply do their regular shopping, using their Something Extra rewards account, and a portion of their purchase will be donated to eligible, participating schools or youth groups. You’ll earn credits at a rate of 1.5% for every eligible dollar in a transaction. For example, if your purchase includes $100 worth of eligible items, you would receive 1.5 Extra Credit points. Extra Credit is a part of our new Something Extra rewards program. If you’re not already a member, you can quickly enroll at raleys.com/somethingextra.